Making latte’s at home is easy with my new Ninja Coffee Bar®System. 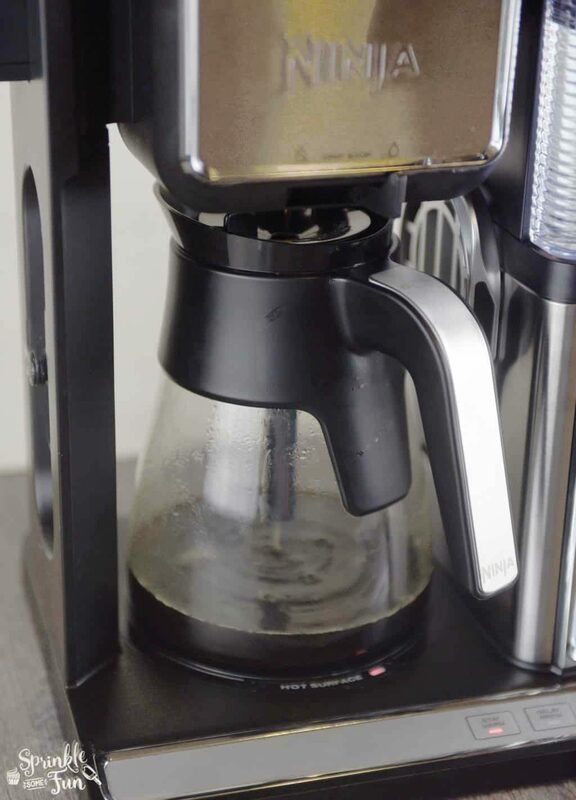 It has six brew sizes and five brew types – including the Ninja-exclusive Cafe Forte brew, which amplifies the natural subtle flavors of your favorite coffee. 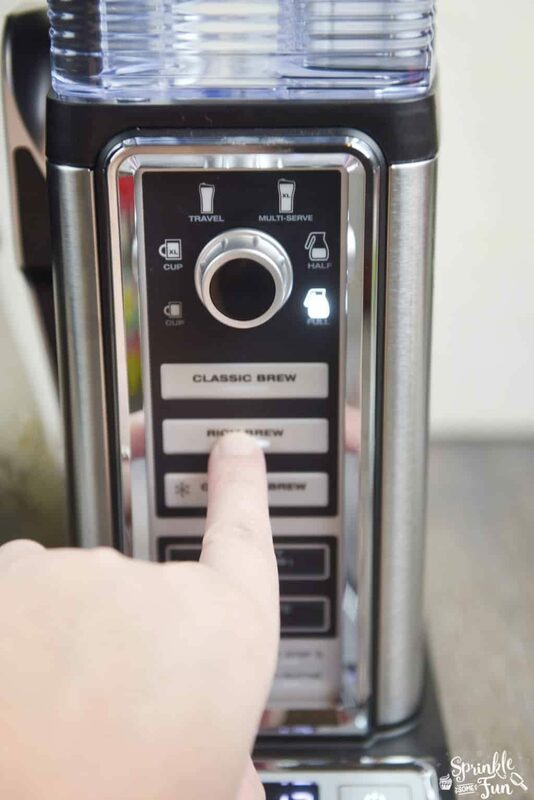 It also has a built in frother that can froth hot or cold milk. 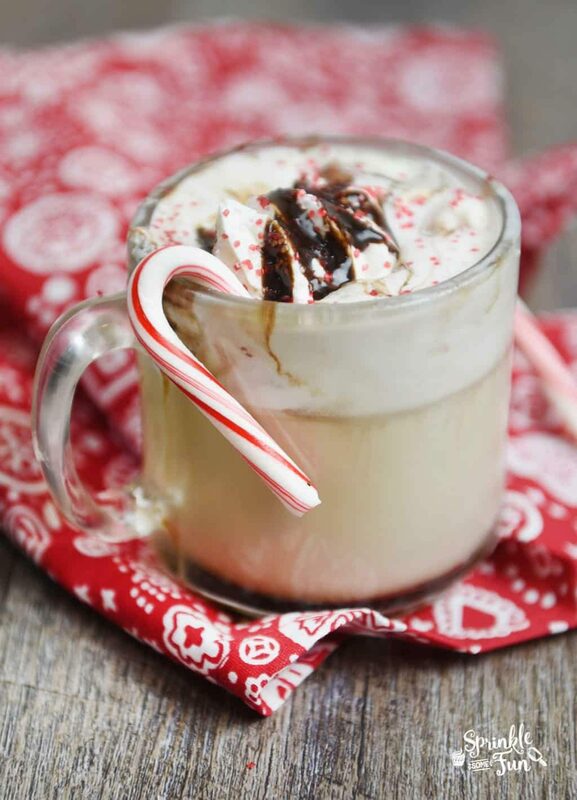 This is what I use to make this Creamy Peppermint Latte. 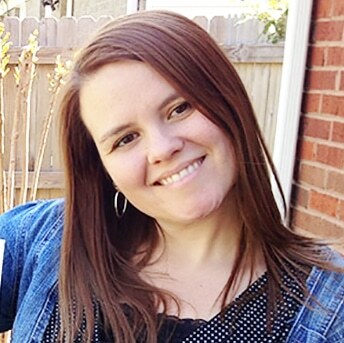 By using the rich brew feature of theNinja Coffee Bar®System, I can make a strong coffee that will stand up to all the milk in a latte. You can see how dark and rich the coffee is in the carafe! I love that you can make so much of it at once too. We often make several coffee drinks and this is enough to make some for everyone. If you don’t like the rich brew you can make a regular brew too. The Ninja Coffee Bar®System is so versatile! One of my favorite features is the frother because it really makes an airy foam that is perfect for lattes or cappuccinos. 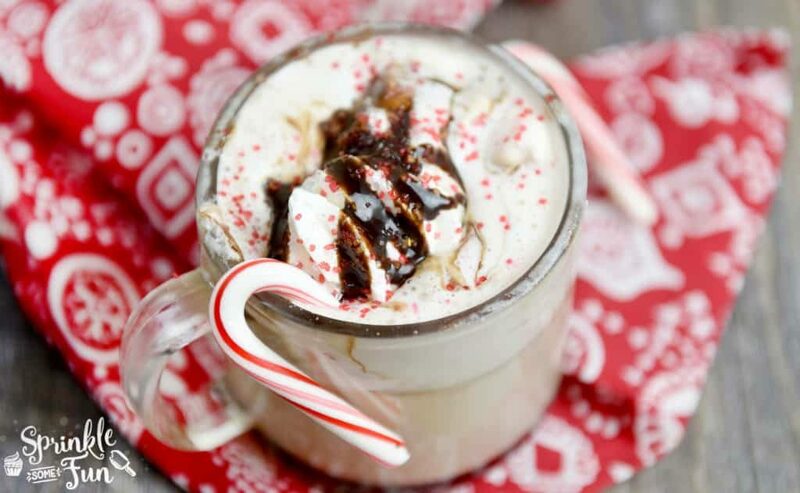 To make the Creamy Peppermint Latte I used 1 small drop of peppermint extract (don’t add too much) around 2 tsp. 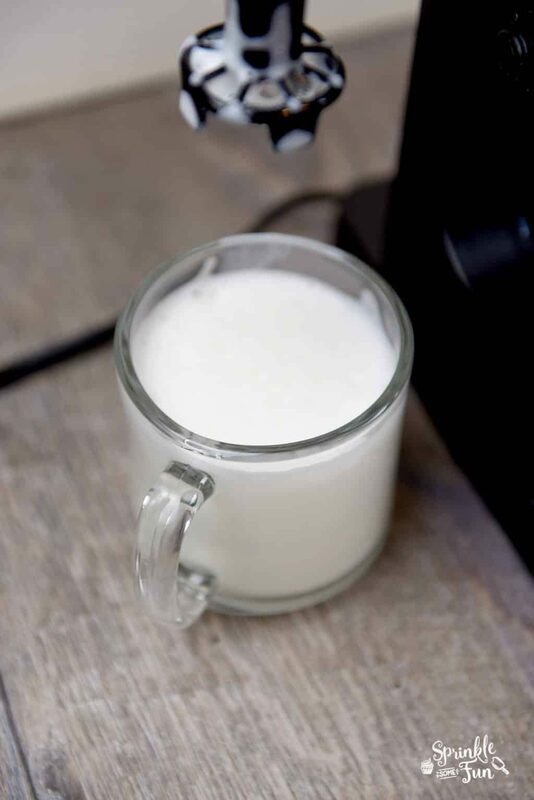 sugar and mixed it into a cup filled with around 1/2 cup hot milk that was frothed with the Ninja Coffee Bar®System frother. I then poured some rich brewed coffee into the cup to make it as dark as I like it. Whipped Cream, chocolate and sprinkles are optional! 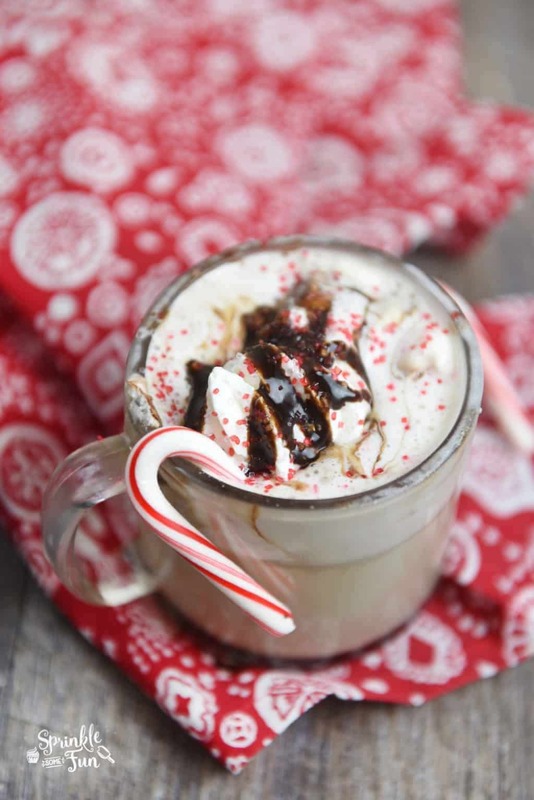 Add a candy cane and you have an easy Christmas treat!